Regular checkups are the most valuable tool we have in keeping your pet healthy. We recommend annual exams and annual bloodwork for dogs and cats over 7 years old. This way, we can catch any potential problems earlier and have a better chance of successfully treating any problems that do arise. Bloodwork when your pet is healthy also provides a baseline that we can track any changes in your pets health over time. Our doctors and staff know how scary it can be for you to have your beloved pet undergoing surgery. That's why we perform bloodwork to identify any at-risk animals, monitor each patient closely while under anesthesia and after the surgery is complete, and provide pain medication for most procedures. We will also insert a catheter and run fluids to at-risk pets during surgery so that we are ready for any possibility. We utilize the services of board-certified surgeons and radiologists in our facility for cases that require a higher level of expertise. We also maintain a close relationship with the other numerous specialists in the San Francisco Bay Area. Our on-site, digital X-ray equipment provides high-quality radiographs to aid in the diagnosis of many disorders. Our in-house laboratory facilities provide for serum chemistry,hematology, serology, urinalysis, and parasite testing. We also utilize commercial veterinary laboratories for specialized diagnostics and consultations. For health, behavior, and population control in the animal community we highly recommend spaying and neutering all cats and dogs. We take the same care for routine spays and neuters as we do for all our surgeries. If your pet is exhibiting behavior problems our staff Behavior Consultant can help! What kind of behavior problems do we usually deal with? Fear of people, fear of or aggression towards other dogs, Environmental Fears & Anxieties, Rude jumpy mouthy adolescents (our most common! ), and more. For human aggression cases, we usually refer out to a Veterinary Behaviorist because of the potential for serious problems. 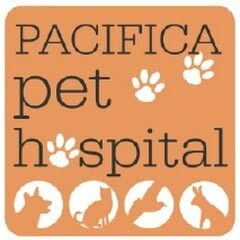 We provide dental prophylaxis (cleaning) for your pet under anesthesia. This is the only way to be thorough and the process is less stressful for your pet. For senior pets (over 7 for most breeds of dogs and cats) we recommend bloodwork to monitor any changes the function of the internal organs, we check for unusual lumps and bumps, listen to the heart and lungs. We can often help with other changes associated with aging, such as incontinence, arthritis, and behavioral changes. Pets, like people, do have allergies. The difference is pets usually exhibit signs of allergy in their skin. Sometimes the problem is a temporary exposure to something that affects them and they can be treated with a simple medication. Sometimes it's the pet's food that causes the allergies, and switching to a hypo-allergenic food can help. Other allergies may only be helped by performing allergy testing and desensitization shots. Vaccinations are very important for your pet's health. Especially for young dogs and cats and pets that come into contact with others. We perform vaccinations for dogs, cats, and ferrets. We also provide a low-cost vaccination clinic on Sunday mornings from 9:00 a.m to 12:00 p.m. with no appointment necessary. However, please remember that the annual checkups can be even more important for your pet as he or she enters into the adult and senior years. If your pet needs an examination, please call to schedule an appointment as we do not perform exams during vaccine clinic. Different pets can have different nutritional needs. We carry diets specifically designed for the nutritional needs of puppies,kittens, adult dogs and cats, and senior pets. In addition, we carry prescription diets for a variety of health needs. Flea control techniques change rapidly, as new technology allows us to offer more effective, safer products. We can help you decide what flea control is most appropriate for your pet and your living situation. Got Fleas? Got Mats? Got Smell? We can help. Anything from basic "just got back from the beach" baths to de-skunking and de-fleaing. We don't offer custom grooming, but we can get your fuzzy friend looking and smelling much better! We carry a variety of products to help you care for your pet's dental care, dietary, behavioral, flea control, bathing, and general health care needs.